Official release date: February 14, 2017Available. The album comes with an 8 sided, 170 gsm booklet packed in transparent jewelcase enclosed in a matt laminated o-card, sealed. Debut album from Portuguese PESTIFER. Nine tracks of blasphemous Death Metal ferocity. 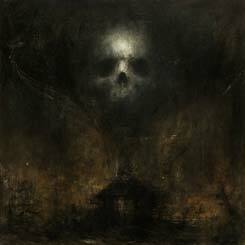 Infernal maelstroms and pounding apocalyptic wrath have been conjured and erupted in the most violent, destructive way to ensure dinkum Death Metal chaos and blistering delight. Challenged through brilliant musicianship and compositional mastery. If you are a real Death Metal devotee, favoring bands like AZARATH, early KRISIUN, REBAELLIUN, SLAYER (Hell Awaits! ), early SEPULTURA and the metallic ferocity of SARCOFAGO or early HACAVITZ/RAVAGER, DIABOLIC MESSIAH or CAMBION (demo out on Lavadome), you can't just skip this offering. 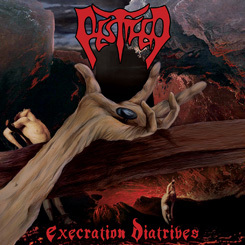 Death Metal as such has been missing an album like PESTIFER's Execration Diatribes since the beginning of the century. Many tried but none has accomplished it this intense and ultimately metallic way. The wait is over. The classic saying "BUY OR DIE!" really applies here.